Dogs are affectionate animals that live in packs in the wild. When you bring a dog home as pet or security dog, you shouldn’t forget to provide your dog with a friendly environment inside the house. Dogs do really well with people and love to stay around them. Therefore, make sure you provide it with a proper shelter or a living place. If the dog requires excessive physical exercise, build a doggie door so that it can go out in the backyard. However, make sure you don’t leave the dog unattended in the outdoors. It is also important to assign your pet dog a specific place in the home which it can spend most of the time. A healthy dog is the one which is fed a nutritious diet and a food that is free from fillers. In order to select the best food for your dog, you need to carefully look into the ingredients present in it. If the ingredients include an animal by-products, fillers, sugars, and preservatives, then do not opt for it. Pick a food that is packed with nutrition and provides with the dog’s needs. If you own protection dogs, then you need to maintain their physical strength by feeding them a nutrition rich diet. It is best to consult with a veterinarian before picking a food for your dog. You should also consider the option of home-cooked meals, but make sure you talk with the vet in order to pick the most suitable recipe. You can also opt for commercial foods; however, it’s a good idea to test samples before spending lots of money on the whole pack. If your dog is not looking healthy, it might be because of its diet. Before changing its diet, get it used to the new food by offering little every day until its body accepts it. Dogs require physical exercise not only to maintain their health and weight but also to feel energetic. 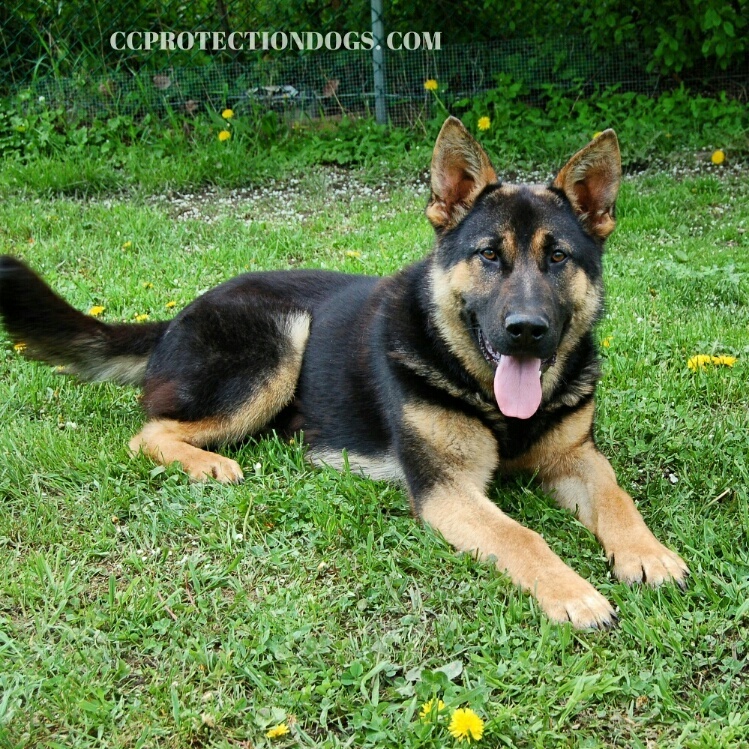 However, if you have the breed like German Shepherd protection dogs, then you will need to provide them with proper physical exercise to keep them active and alert. Many dogs that do not get physical exercise may get bored or irritated, which provokes disruptive behavior. Do not go overboard with the exercise but maintain a normal exercising schedule so that your dog not only feels happy but also stays mentally and physically strong. Dogs also require grooming, nail trimming, brushing, ear cleaning, bathing, and regular checkups to stay away from infections and other illnesses. Therefore, it is important to pamper your dog and keep it physically attractive. A well-trained dog is the one that lives a healthy life and shares a solid bond with its owner. Therefore, in order to strengthen the bond and improve the quality of life of your dog and yourself, you will need to train it to follow the rules. Make sure to teach your dog to be disciplined so that it can live a peaceful life. Train your dog to behave well and be patient, and persistent with it. Dogs are affectionate beings and by providing them with utmost care, you will be able to cherish the bond forever.